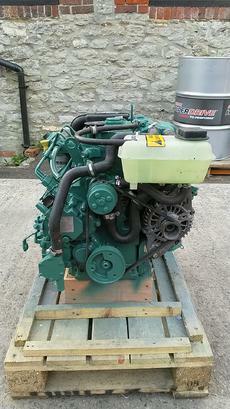 Volvo Penta D1-30 29hp Three Cylinder Heat Exchanger Cooled Marine Diesel Engine Package Complete With MS10L Gearbox Plus Volvo EVC Control Panel, Looms & Tacho Kit. This engine was removed from a 2014 Yr motor launch and traded in against a much larger Volvo D2-50 in full working order and approx. 550hrs on the clock, having been with the same owners from new. 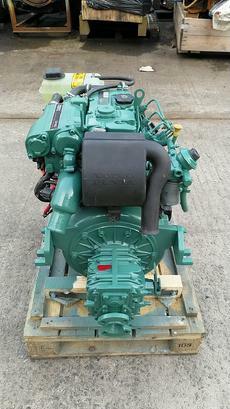 Fitted with a Volvo Penta MS10L 2.14 Ratio Gearbox. It has been test run and serviced at our workshops. New filters and glow plugs fitted as part of this work. 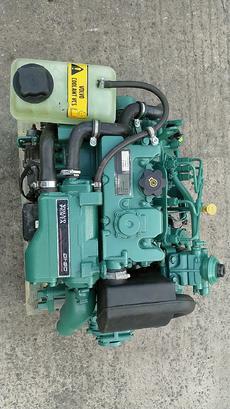 The engine can also be offered with a 130S Saildrive or as an engine only if required. Prices for these options on request. Shipping can be arranged anywhere within the UK or Worldwide at buyers cost.